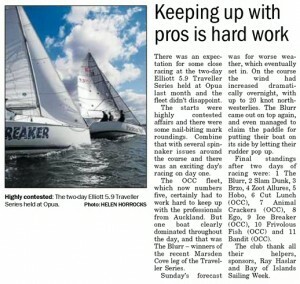 We made the papers again! 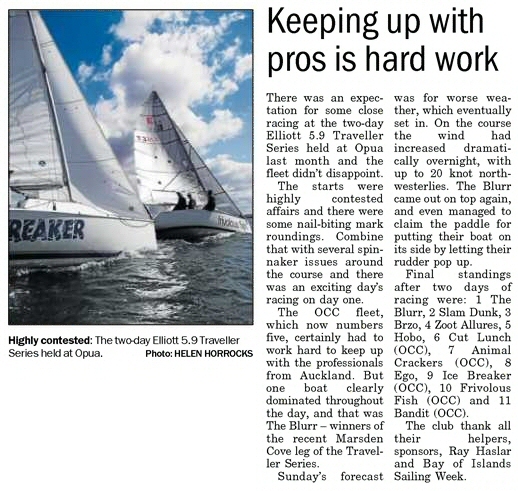 Coverage of the recent Elliott 5.9 Traveller Series in Opua has made the local paper – the article below is from today’s Bay Chronicle. Click on the image for a larger view. If you spot OCC in any other newspapers, magazines or online, please let us know! Simply email info@opuacruisingclub.co.nz or Contact Us using the online form.